from Protect Your Home is the best option for you! ADT is the most trusted and recognized name in the industry. One of the first considerations is whether or not you want to install the system yourself or pay for a professional installation. Historically, systems had to be hardwired into the home. This would involve drilling and cutting holes in the walls, fishing wires and complicated mounting and extensive programming. But…times have changed. Even the companies that professionally install the systems are now using primarily wireless equipment. While a professionally installed system might involve less effort, the vast majority found that the systems provide by the best DIY alarm companies were easy to install, user friendly and saved them a substantial amount over a professionally installed system. 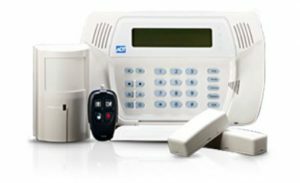 When selecting the best home security system to help protect your home and family, one of the most important criteria to consider is how the system will be communicating to the central monitoring station. Historically, it wasn’t that long ago when the only way to send a signal was through a landline. Fortunately technology has developed faster, more efficient and more secure methods of communication which afford additional options to meet the demands of security savvy consumers. The basic landline connection is typically the most affordable means of communication. However, it has limited capabilities and is more susceptible to potential security threats. Landlines can be compromised by simply cutting the phone line. This eliminated the means of communication and reduces the security system to nothing more than a noise-maker. Additionally, landlines cannot transmit the data signals that power the mobile applications which play such an important role in today’s best home security systems. Today’s consumers are looking to be able to monitor and manage security and home automation function from anywhere through apps on their mobile devices. Broadband is certainly the fastest means of communication a signal and excellent data bandwith transmission capability, but suffers from the same security vulnerabilities as the landline. It can be defeated with a $5.00 set of wire cutters. Additionally, broadband communication is susceptible to local power and cable outages. Consequently, in most situations, we recommend a system equipped with a cellular connection (or a system with multiple, redundant capability). It operates on it’s own independent cellular communicator which is typically incorporate into the main control panel. It cannot be cut by intruders and is not affected by local phone, cable or power outages…as the system has a battery backup. Most companies offer both CDMA and GSM cellular technologies which affords coverage in the vast majority of the country. Back in the 80’s and 90’s when wireless security systems were first introduced, the technology was far less reliable than it is today. There were many security purists who insisted that hard wired systems were the only way to go. Of course, this required professional installation, cutting holes and fishing wires…and, of course, the typical installation would cost thousands of dollars. As a result, even the “professional installation” companies install wireless alarms systems…almost exclusively in residential applications. While hardwired systems are still used in certain commercial applications…it is unusual to see modern systems being hard-wired in a residential system. When it come to choosing a security company to help protect your home and family, we recommend selecting a national home security that has a stable history and specializes in home security….across the nation. In a mobile society, who knows when you may need to relocate…and need to secure a home in another part of the country. The last thing you want is being tied to a contract with a cable company that doesn’t service that area, or a small local security company that only provides service in a limited geographical market. Over the years, I have seen countless local security companies go out of business or sell out to national companies because they could no longer compete….leaving their loyal customers confused, unprotected or at the mercy of their new service provider. ADT is the most trusted name in the industry and provides a 6 Month Service guarantee…Find out more by calling or clicking below.